Power and Internet Outages, Natural Disasters. Network Maintenance. No worries. 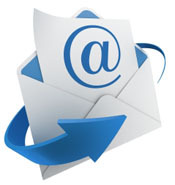 ICS Secure Cloud Message Continuity Services is a completely automated email recovery service enabling access to email via our web-portal for use during scheduled or unscheduled outages. Power failures, natural disasters and other unforeseen events can easily bring down a business network disrupting communications jeopardizing business sales, which could result in lost revenue. With ICS Secure Cloud Message Continuity you don't have to worry about the interruption of your most critical business communication tool.